Anyway, Cream Maid is employed in a very posh mansion house to, yes, serve the cream at the dining table, having got the job “because of the adorable maid’s outfit” rather than because of any skill or experience. So, when the Lord of the Manor discovers how… um… not maid-like Cream Maid is, they get fired and sent away until they learn how to make friends. 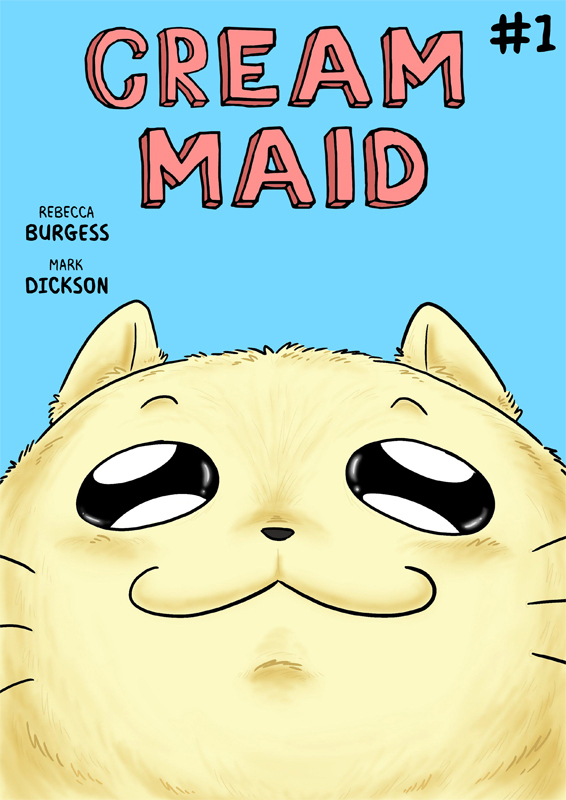 The rest of the story shows Cream Maid trying to make friends in various situations until they discover that a friend has come to find them. 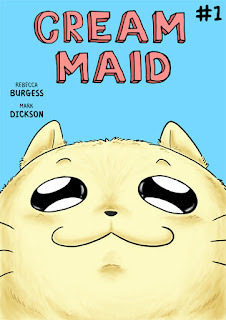 It took a while, and the aforementioned change of approach, for me to start to understand where the surreal humour for Cream Maid was coming from but, once I did, it turned into a morally astute, fun-for-all-ages little comic with a strong, if strange, lead character whose heart is in just the right place to melt everyone else’s. Oh, and let the record show that when the creators come out with Japanese-style plushy Cream Maid toys as part of the Kickstarter campaign, it was my idea ok? *Yes I realise that, by mentioning that it isn’t a thing here, I’ve made it into a thing here, but you know what I’m trying to get at.